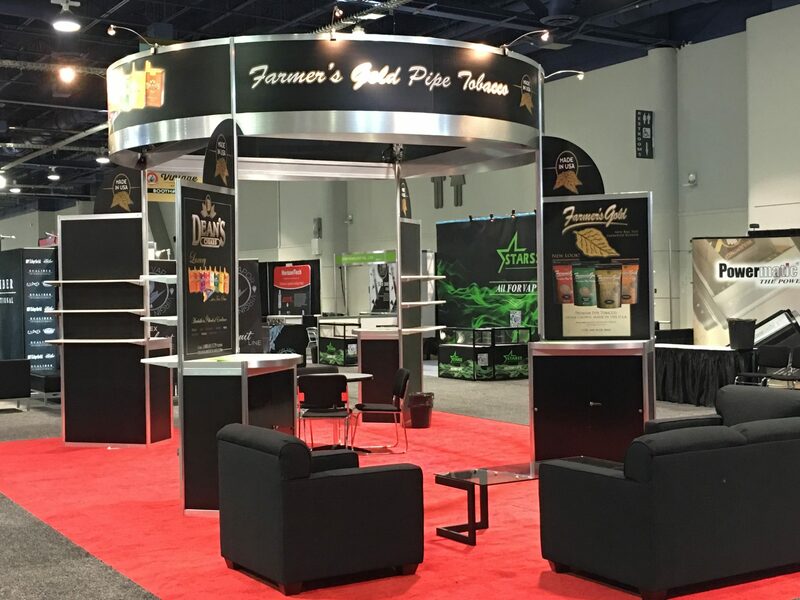 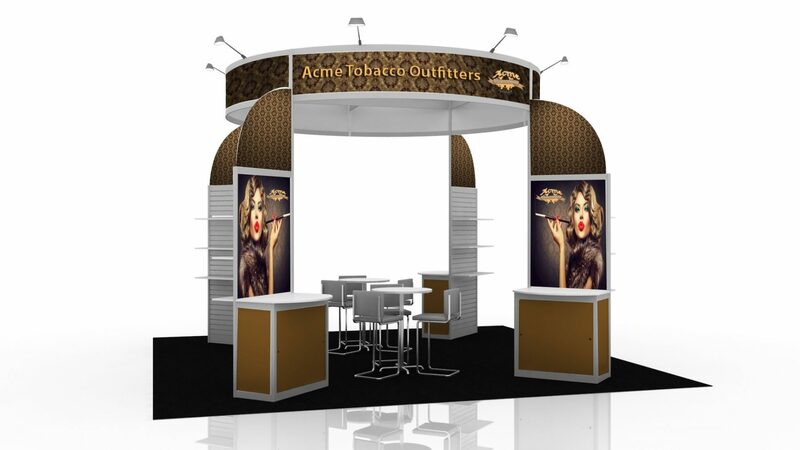 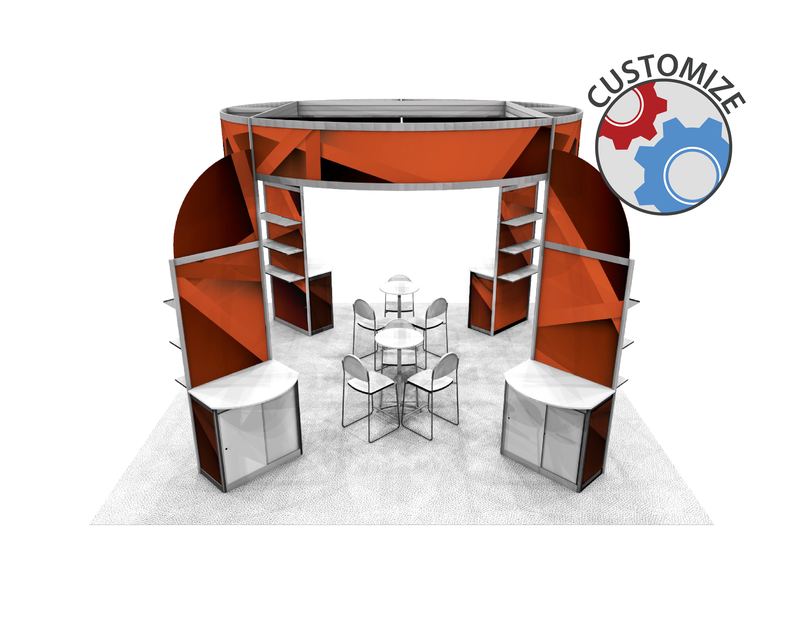 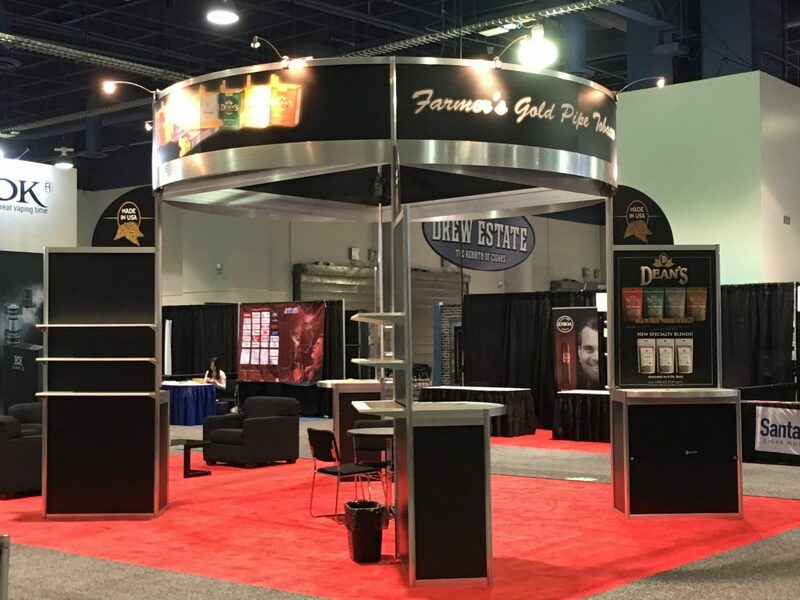 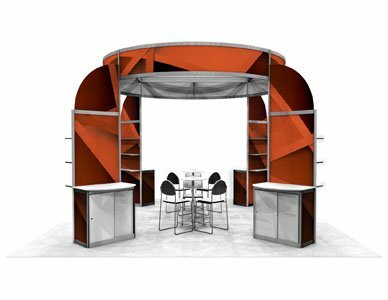 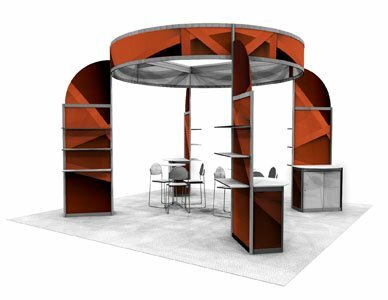 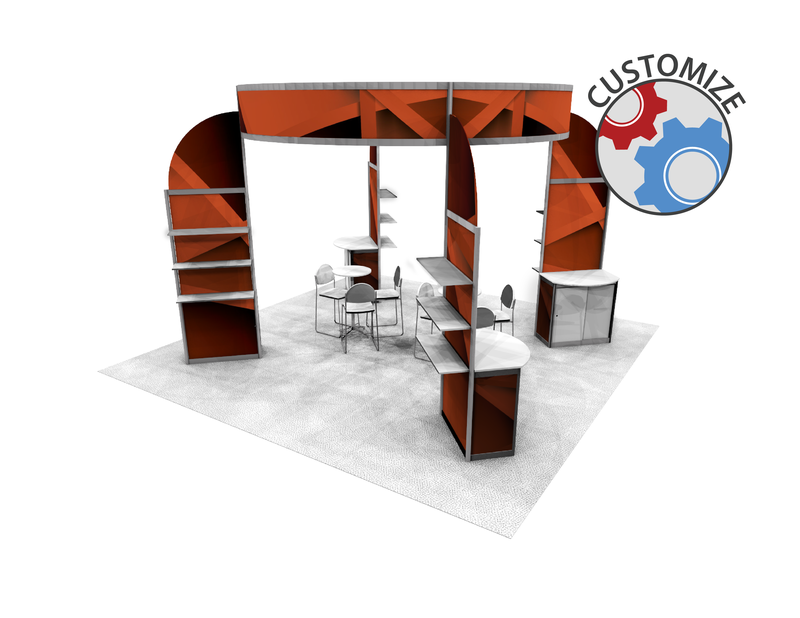 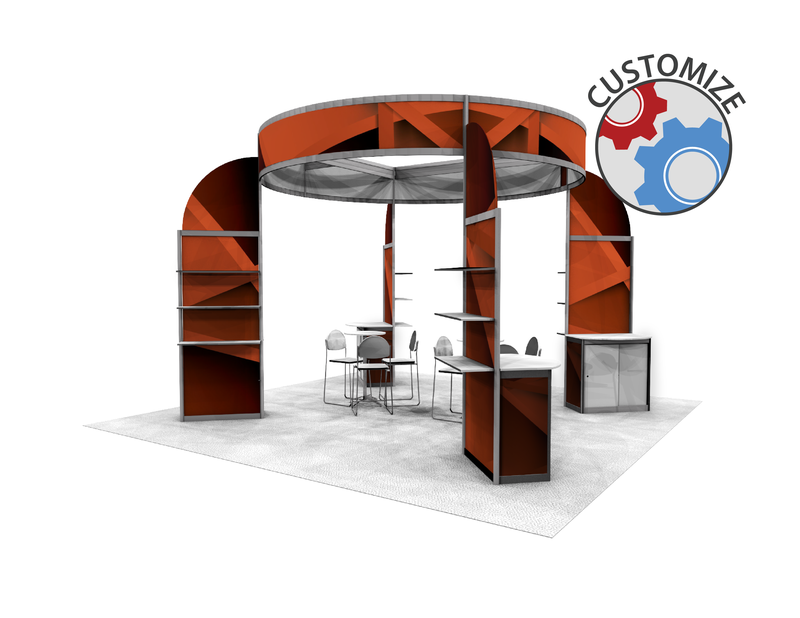 The MOD 10 is a hardwall booth package with an outstanding 12′ high circular header that gets your booth noticed from all directions. 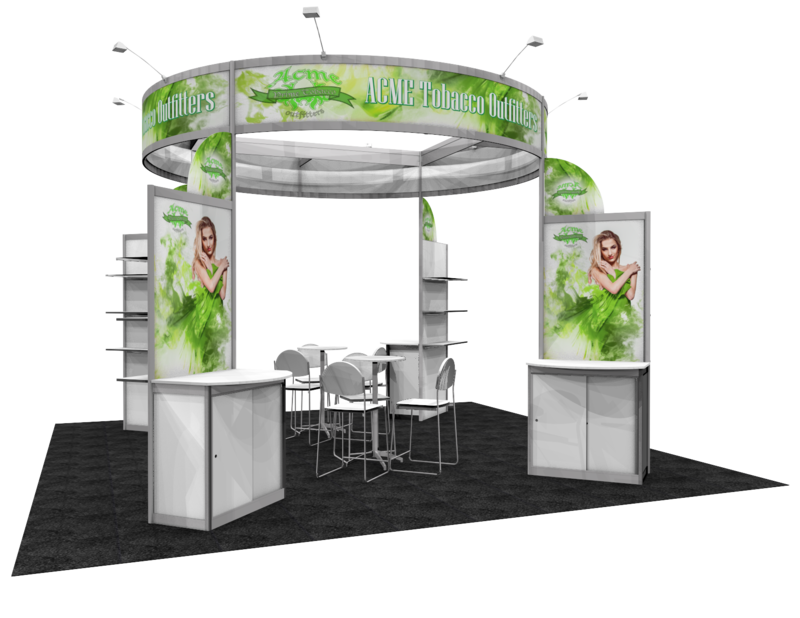 This display unit has twelve shelves for your display needs and four cabinets, perfect for your tabletop multimedia or company literature. 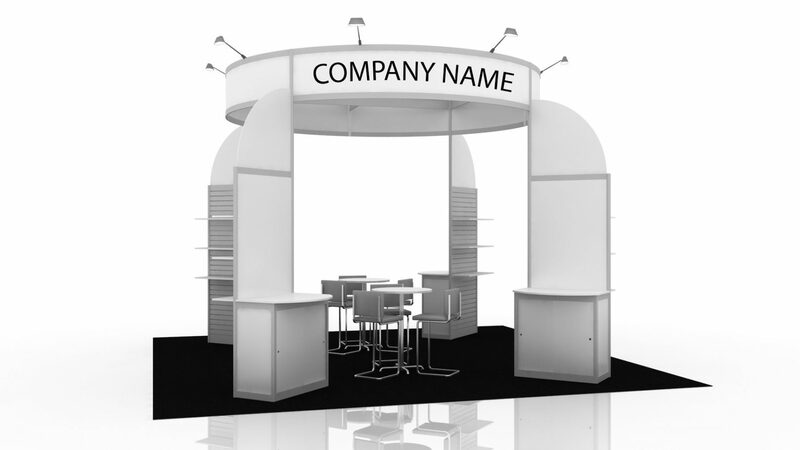 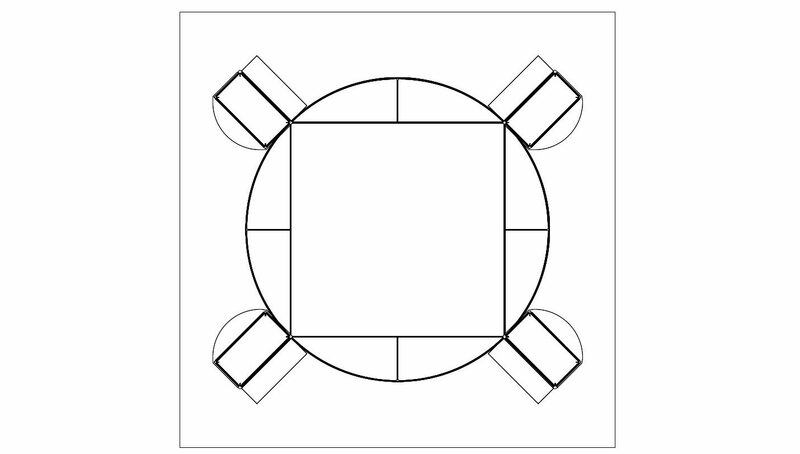 The ample center space is perfect for meeting with your attendees.